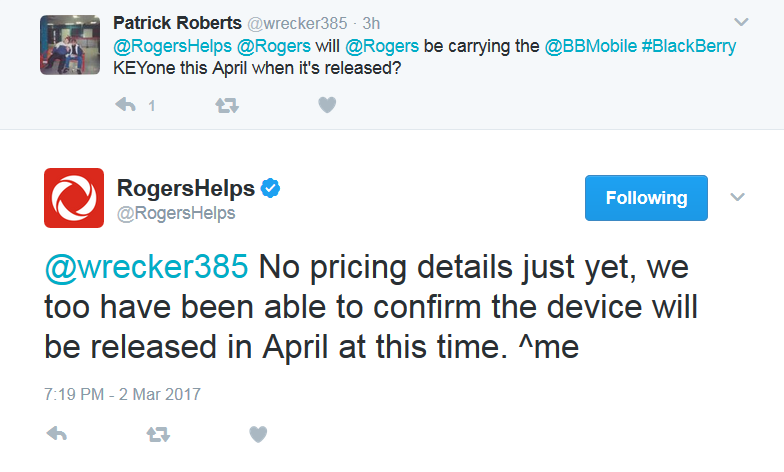 This confirmation comes less than a week after BlackBerry Mobile acknowledged that the KEYone would be available globally in April, and within hours of Bell confirming the device's availability. With this latest news, all three major Canadian carriers have confirmed that they'll carry the QWERTY Android smartphone. Pricing has not been disclosed by the carrier. Will you be getting the KEYone once it arrives on Rogers? Let us know in the comments below!